This statistic displays the share of persons conducting deliveries in England in 2017/18. The number of deliveries in NHS hospitals has increased since 2005. 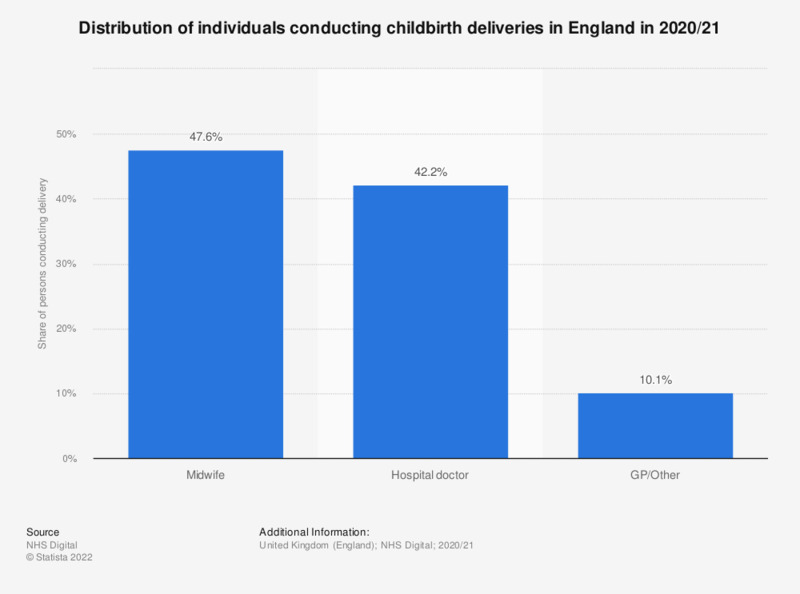 In 2017/18, 51.3 percent of deliveries were conducted by a midwife.